Are you as envious as I of those people who know exactly what they want to do “when they grow up” and don’t let anything stand in their way of reaching their goal? I count those people as very fortunate and envy their tenacity and sacrifice. The rest of us find our way through trial and error, perseverance and a network of supporters. 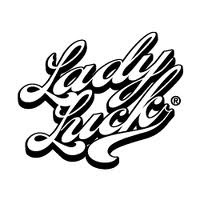 Or perhaps Lady Luck is on their side. The good news is that the end result is equally rewarding. Finding your niche (whether personally or in developing a business strategy) takes a lot of soul searching and requires taking risks. Once on course you need to have a steadfast commitment to your objectives. There have been so many companies who have failed to transform their business because they set unrealistic goals, weren’t willing to make the investment or didn’t get all of their employees on board marching toward a common goal. It’s not an easy road but when you reach the pinnacle, the rewards far outweigh the journey. In today's economy I daresay every individual and company needs to re-invent themselves. Gone are the days where you could avoid adopting technology as a cornerstone in advancing your market share. No longer can you rely on what worked 10 years ago to advance your business or career. Only the strong survive in such a competitive environment and that means developing a well thought out strategy, leveraging the new rules of marketing and executing flawlessly. I have recently taken such a journey and am testament that you can transform yourself and end up in a much better place both personally and professionally. Being a part of Marsden & Associates afforded me the opportunity to work with companies both big and small and in a myriad of industries. We helped businesses evolve their digital presence and created measurable inbound marketing campaigns. We developed marketing strategies and plans that will set up businesses to thrive. We implemented campaigns that grew revenue, improved sales effectiveness and enhanced brand images. Through this collective experience I was able to hone in on what was the best fit for me, and along the way I "lucked into" a consulting engagement for a company that has incredible assets, a talented leadership team, passionate employees and a focused strategy that will drive exponential growth. That lucky opportunity allowed me to find my niche... at Foxwoods Resort Casino, where I am excited to begin my new role as their Chief Marketing Officer. The journey took a lot of hard work but the honor to lead marketing for such a diversified and fascinating business is my reward. Marsden & Associates is to thank for this introduction as they are sought out by businesses looking for marketing expertise that deliver real world results. If you’re looking to re-invigorate your marketing efforts, adopt the ‘new rules of marketing’ and more specifically, set up your business to thrive, then you need Marsden & Associates. And, if you want to see if Lady Luck is on your side, please come visit me at Foxwoods Resort Casino. www.foxwoods.com. It has been great having Becky as part of Marsden & Associates. She brought new ideas and a fresh perspective that has benefited both our clients and our team. We wish her the very best in this next part of her personal journey and look forward to seeing the 'real marketing results' that we know Becky will bring to Foxwoods. And you can bet you'll be seeing me around the Casino from time to time.